A Court-approved agreement reached with the New Jersey Department of Education (NJDOE) will provide clear pathways to graduation for all current high school juniors and seniors. The agreement was negotiated by the Education Law Center and the ACLU of New Jersey on behalf of several civil rights and parent advocacy groups, including the Latino Action Network, Latino Coalition of NJ, Paterson Education Fund, and NAACP NJ State Conference, that successfully challenged high school graduation testing requirements imposed by the NJDOE in violation of state law. On December 31, 2018, the Superior Court, Appellate Division, invalidated the graduation assessment regulations enacted by the NJDOE in 2016, which included the Partnership for Assessment of Readiness for College and Careers (PARCC) end-of-course exams, because they violated statutory requirements for “exit” testing to obtain a high school diploma. In January, the NJDOE filed a motion for partial reconsideration, asking the Court to amend its order to address graduation requirements for current juniors and seniors. In response, the groups that brought the case sought broader relief and highlighted the fact that the NJDOE’s request would leave thousands of students, who had not yet satisfied the testing mandate, without clear options to fulfill the requirement and earn their diplomas. The agreement filed today will ensure all high school students in the classes of 2019 and 2020 have clear pathways to achieve a New Jersey diploma. The agreement postpones the effective date of the Court’s decision invalidating the graduation testing regulations and allows all juniors and seniors to use the rules defined in the regulations for the class of 2019—the broadest set of options—to fulfill the graduation testing requirement. 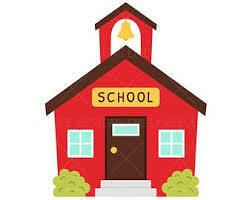 The agreement will also provide the NJDOE with time to propose new graduation testing rules for the classes of 2021 and 2022, current freshman and sophomores, that comply with statutory requirements and provide fair notice to affected students. For more information about the lawsuit challenging the high school graduation regulations, click here.